One of my favorite warm weather weekend activities is going to the farmers market with someone special and then coming home and concocting brunch with our farm-fresh finds. So, okay, it’s still winter, the only one special is myself, I’m hungry.. and I deserve lovely food!! 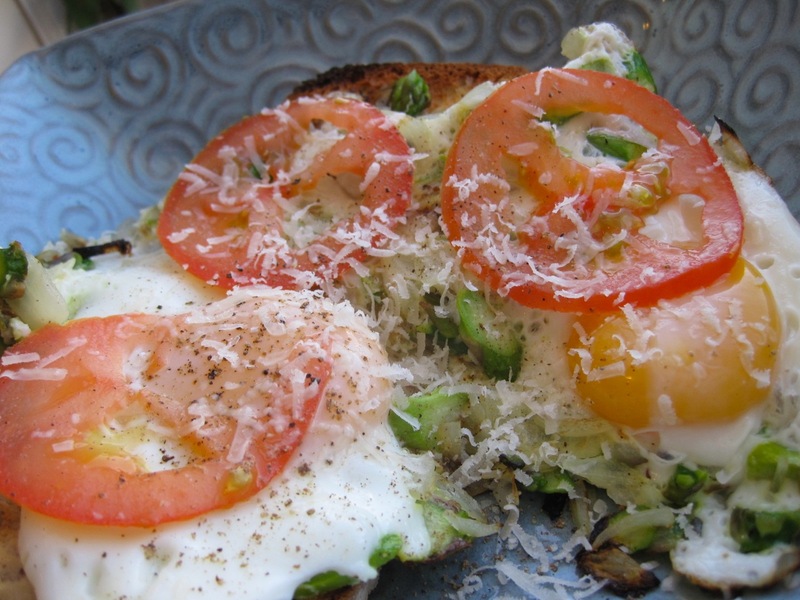 So here’s my scrape-together-whatever-looks-good-in-the-refrigerator into a delicious not-quite-farmers-market brunch. 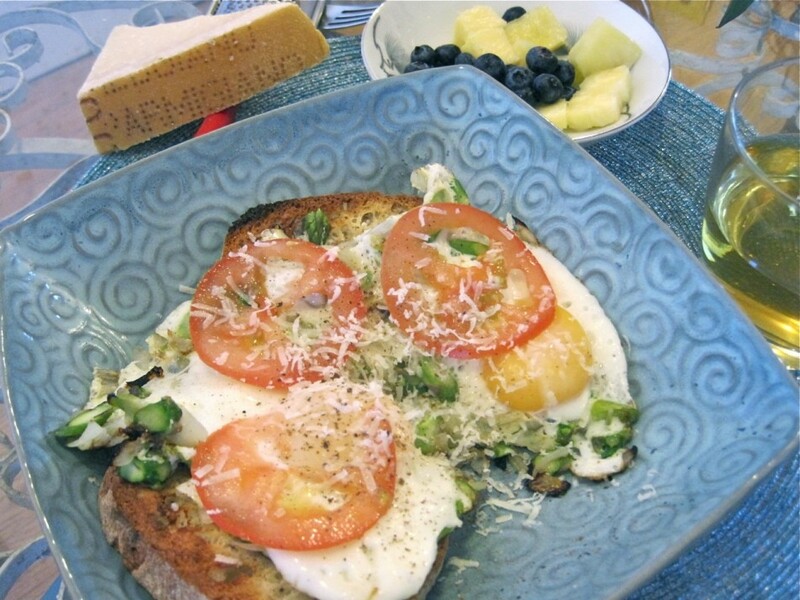 A rundown of the meal: sauteed slivered asparagus and onion with two organic eggs fried atop, placed over two slices of toasted gluten-free whole grain bread, topped with thinly sliced vine ripened organic tomatoes, a sprinkle of parmigiano reggiano and fresh ground pepper. Jasmine iced tea (leftovers from a pot I shared with a friend last night and then refrigerated) with a side of fresh fruit. Treat yourself like you would treat a guest!! I love brunch, even if it’s only with myself. 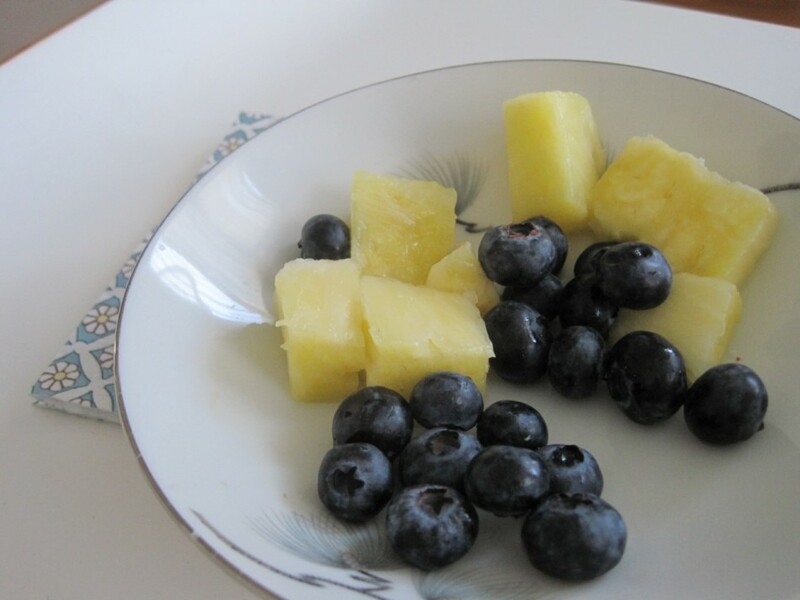 March 13, 2011 | Filed under breakfast, brunch, gluten free, vegetarian and tagged with breakfast, brunch, eggs, fruit, gluten free, jasmine tea, what's in the fridge.